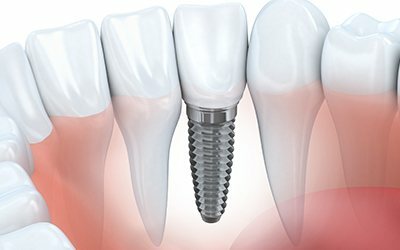 Concerns about budgeting for the costs of dental implant supported tooth replacement plans often deter patients from moving forward with this effective dental care option. While dental implant supported tooth replacement does require patients to make a larger time and financial commitment up front than other smile restoration options, the investment is well worth the long lasting, natural functioning results dental implants deliver. At Tomko Dental Associates, we work with Allentown dentistry patients on a regular basis to fit the cost of implant supported replacement teeth into their budgets. If you want to learn more about dental implants, treatment costs, or any of the dentistry services we provide, call to schedule a tooth replacement consultation today. We’ll work with you to develop an affordable dental implant treatment plan. The range of pricing for implant supported tooth replacement varies so dramatically from patient to patient that visiting us for an implant consultation is the only way to understand what payments you can expect. 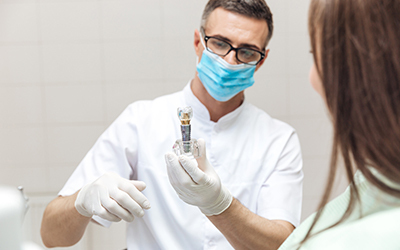 During your dental implant consultation, we will begin by capturing digital x-rays and images that will be used by our team to assess your current oral health. We’ll review your oral and overall health, discuss health history, review past surgical experiences, and partner with you to plan for tooth replacement. We’ll walk you through every stage of the implant supported tooth replacement process and the costs associated with each phase of treatment. We’ll be happy to answer your questions about pricing, insurance, or the implant-retained tooth replacement process. 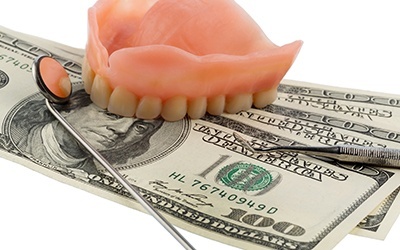 Unfortunately, the costs of dental implants and their surgical placement are not typically covered by benefit plans. However, we will maximize your coverage for other aspects of dental implant tooth replacement, including preparatory tooth extractions or tissue grafts, replacement teeth, and dental sedation. We will bill for each individual step of treatment rather than charging an overall price, which helps patients split the costs of treatment over several months. Additionally, this may enable us to take advantage of more insurance benefits by splitting treatments over two plan years to avoid exceeding your annual coverage maximums. Our Allentown dental team is also happy to work with third party financiers to offer low and no interest payment plans for qualified patients.